I grew up in the city of Auckland, New Zealand. Was obsessed with the outdoors, broke a few arms climbing stuff and was immersed in all team sports possible. I made regional teams in ball sports and always made the conscious effort to have the highest score in the beep test or the fastest run time trial. I went well at distance running races just braking into top 10s at a national level. I was introduced to triathlon as the runner to make up a team. Naturally I felt guilty only doing 1/3rd of the event. At age 16 in 2007 I saved up and bought my first road bike, I instantly loved the freedom granted with it, (including being faster than the bus to get to school). I went on to win numerous National Junior titles in Cycling. I soon joined a swim group and phased into Tri training as well. Two years later with plenty of regional races under my belt I placed 2nd at Triathlon National Junior Champs and made the Triathlon NZ Youth Academy in 2009/2010. University presented an exciting change and my ambitions became more academically focused (Bachelors of Architecture). However I quickly realised life didn’t feel complete without exercise, so there wasn’t complete remission from training. I did a my first Half Ironman in Taupo 2012 (entering a few days out it and very much for ‘fun’.) There I qualified for and then Won my age group at ITU ld World Champs in Spain. I won numerous domestic races before taking my Professional licence at the end of 2014 and winning my first Professional race at Challenge Gold Coast. 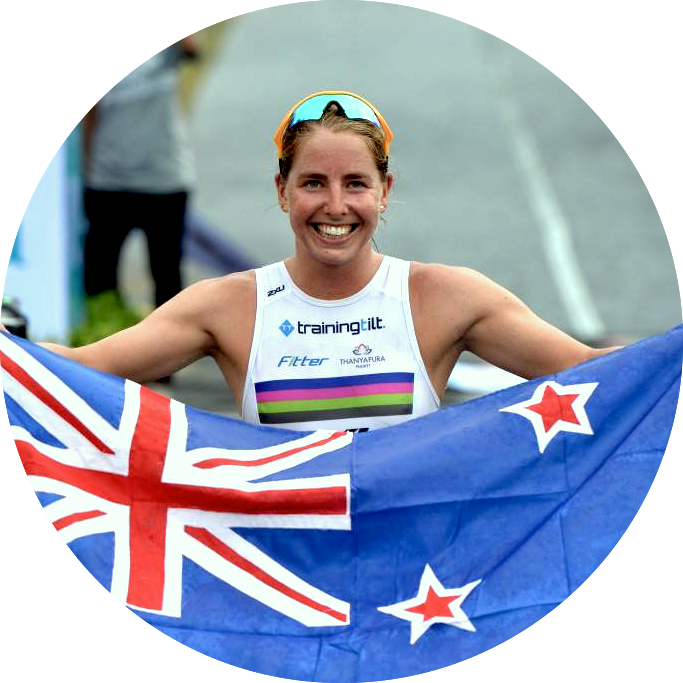 After finishing my studies and having a brief taste of racing on the international circuit, I knew the opportunities to establish a successful career as a professional triathlete were well worth a shot. In 2016 I was a member of the Thanyapura Triathlon team based out of Phuket, Thailand. In 2017 I was a member of the BMC- Etixx Professional Triathlon Team based in Europe.